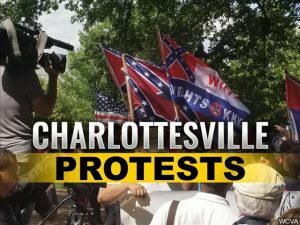 CHARLOTTESVILLE, Va. (AP) – A Baltimore Ku Klux Klan leader has pleaded no contest to firing a gun during a violent white nationalist rally in Charlottesville last summer. Court records show Richard W. Preston entered the plea Tuesday. He was charged with discharging a firearm within 1,000 feet of a school. Authorities said Preston was shown in video of the incident yelling and firing a handgun once while standing on a sidewalk crowded with rally-goers and counterprotesters. No one was struck with the bullet. Preston has previously said he was acting in self-defense. A plea of no contest means a defendant acknowledges there’s enough evidence to convict him but doesn’t admit he committed the crime. The plea has the same effect as a guilty plea. Court records show Preston will be sentenced Wednesday morning.